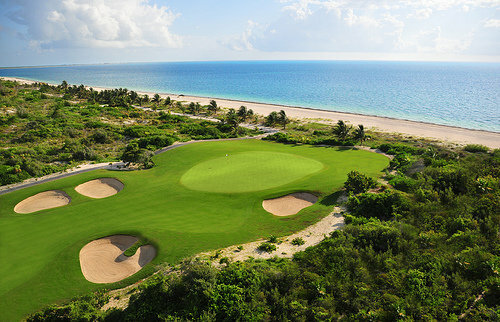 Golf Meets Lacrosse with FlingGolf™ at Dreams Resorts & Spas! Greeting from the sunny shores of Dreams® Resorts & Spas! Today we’re excited to introduce a new activity featured at Dreams Riviera Cancun and Dreams Puerto Aventuras that is perfect for the family who loves a little healthy competition! Keep reading for more information about how to get in on the FlingGolf™ action! Fun for all ages at Dreams Riviera Cancun and Dreams Puerto Aventuras! Discover Puerto Vallarta at Dreams Villamagna! Happy #TravelTuesday! Dreams Villamagna Nuevo Vallarta, an unrivaled tropical hideaway located on the Riviera Nayarit’s breathtaking Banderas Bay in Nuevo Vallarta, Mexico, offers unlimited-luxury® and fulfills all the needs of our travelers! Not only are there endless activities around the resort, but Dreams Villamagna offers nearby attractions, like the colonial town of Puerto Vallarta – where there is fun for everyone! Read on to learn more about the quaint and beautiful town of Puerto Vallarta and what it has to offer guests of Dreams Villamagna Nuevo Vallarta! Guest of Dreams Villamagna Nuevo Vallarta not only have endless options of activities around the resort, but the town of Puerto Vallarta, only a short distance from the resort, offers endless fun for all! 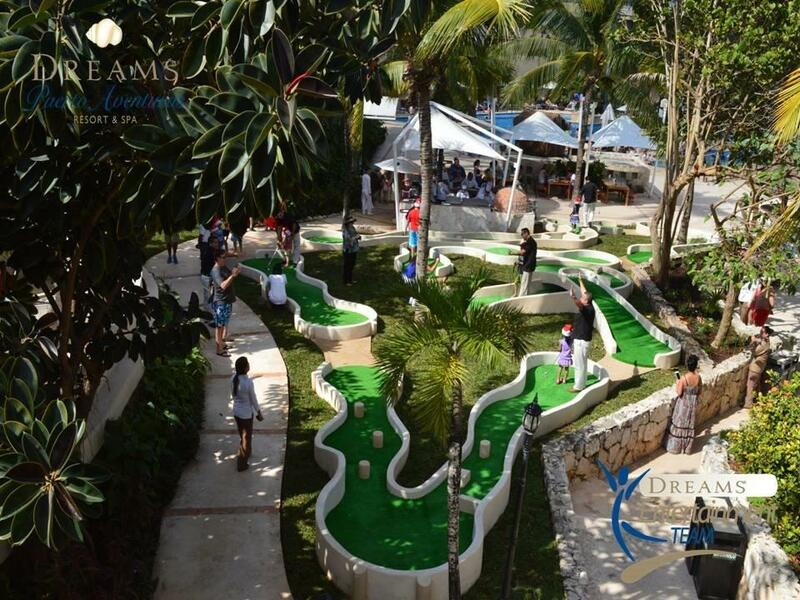 Mini Golf Has Arrived at Dreams Puerto Aventuras! We have an exciting new addition at Dreams Puerto Aventuras Resort & Spa–our very own miniature golf course! This classic game, a blast for all ages and all skill levels, is sure to quickly become a favorite pastime here at the resort. Check out a few photos below of our mini golf grand opening. Why not come embrace your competitive spirit and show off your skills at Dreams Puerto Aventuras? Who knows, maybe you’ll even get a hole in one! 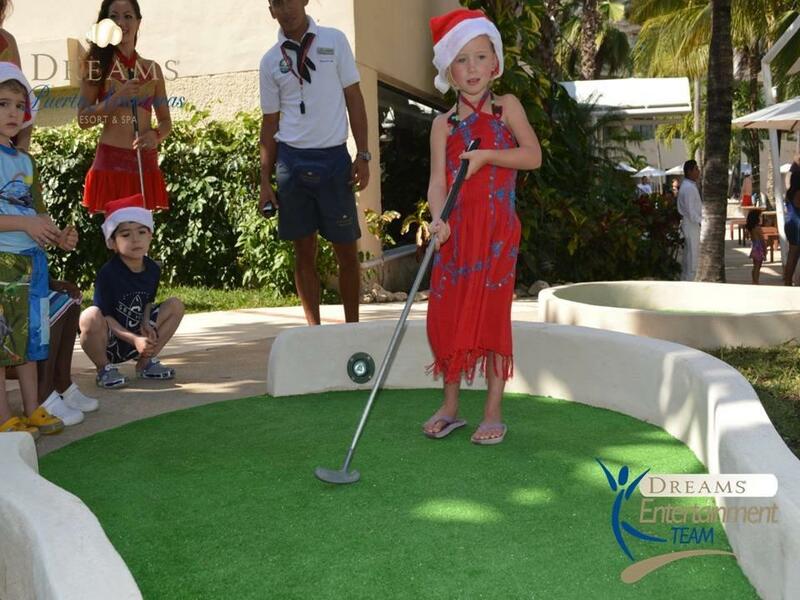 The new mini golf course at Dreams Puerto Aventuras Resort & Spa is perfect for a day of family fun. Who could resist a game of mini golf at Dreams Puerto Aventuras Resort & Spa? 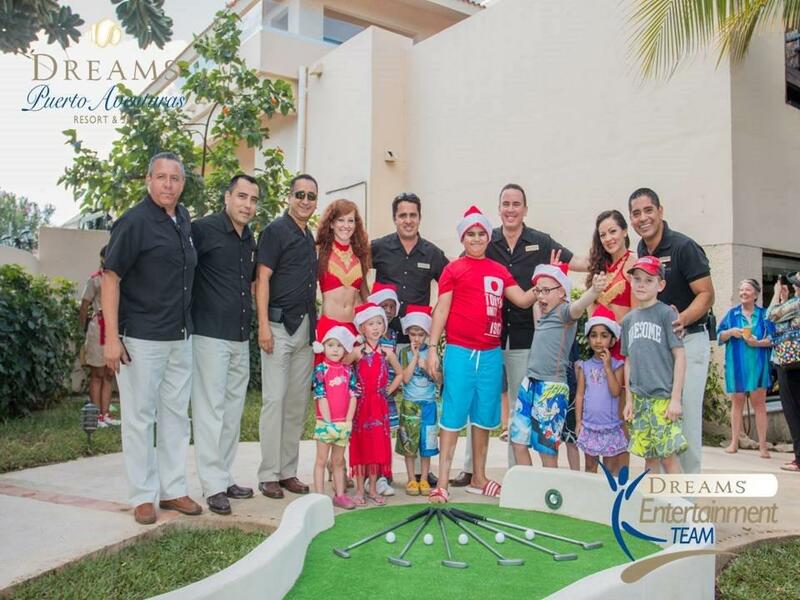 Guests of all sizes at Dreams Puerto Aventuras Resort & Spa helped us kick off our new mini golf course. 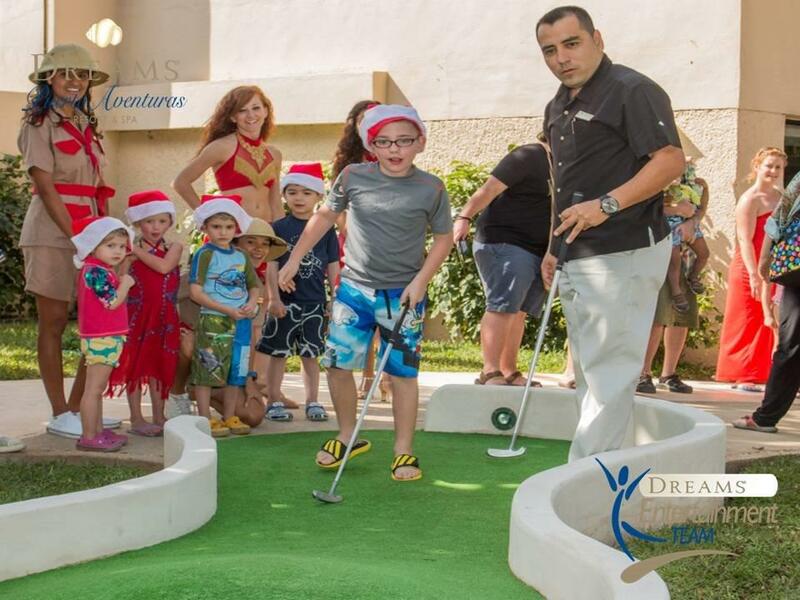 The new mini golf course at Dreams Puerto Aventuras Resort & Spa will provide endless fun for years to come! 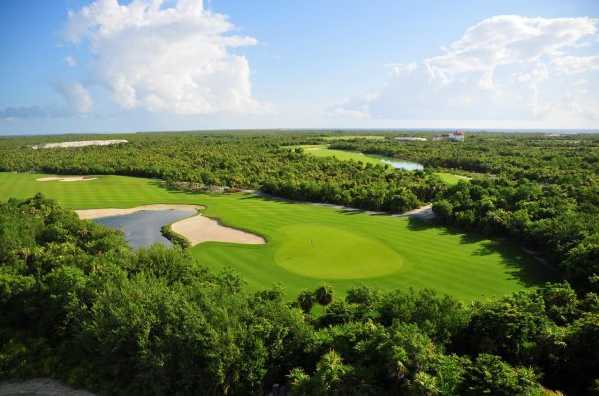 When staying at Dreams Cancun Resort & Spa, you have the opportunity to enjoy unlimited golf at Playa Mujeres Golf Club, an outstanding par 72 course designed by the famous golfer Greg Norman. 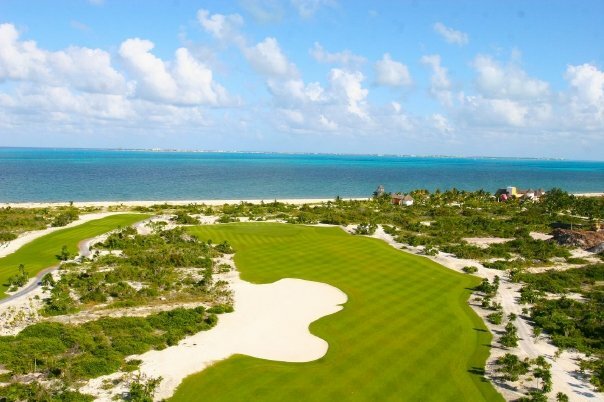 Nestled in a beautiful tropical jungle and lined by dazzling Caribbean beaches, this golf course is considered one of the very best in Mexico. 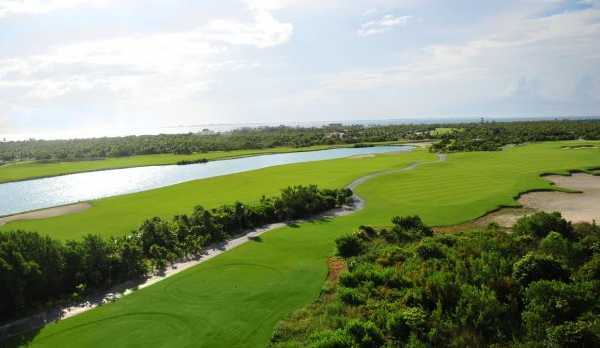 The Playa Mujeres Golf Club was designed using the natural elements of the local flora and fauna that surrounds it. Careful rearrangement of the site’s native plants, trees and other indigenous foliage, along with cautiously crafted water holes, jungles, bunkers, and greens, make this course an ideal place to play for its stunning scenery. Check with the resort concierge to set up your tee-time, arrange transportation and find out more information about this special offer. Tee times are subject to availability and premium tee times are subject to a surcharge.